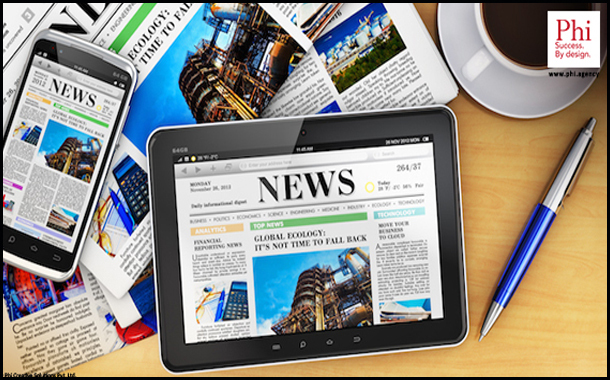 Social Media and Print Media: Are they enemies or friends ? Mahabharat, the greatest epic ever written, gives us so many lessons of life with glimpses into many dynamic and powerful characters. One the most impactful relation depicted in the Mahabharat is the one between Krishna and Arjun showing how they learnt from one another as much as learnt with one another. The Bhagavad Gita which narrates the conversation between Krishna and Arjun at the Kurukshetra war offers ageless wisdom into leadership, their teamwork and planning. We see how the duo’s friendship evolves into a strong and undefeatable teamwork, with Krishna’s strategic vision and leadership and Arjun’s exemplary skills in archery leading to their victory in the war. On the other hand, Karna and Arjun were half-brothers. Yet, their diametrically different personalities and mutual antagonism went on to become one of the main reasons for the Kurukshetra war. In today’s Corporate Kurukshetra, Print Media and Social Media work in tandem, just like Krishna and Arjun, rather than as Karna and Arjun! Social Media is now everywhere. While many have now made the transition seamlessly and adapted social media along with print, there is still a large section who continue to debate if social media will kill print completely down the line – the way Karna died in the hands of Arjun! Social Media has helped reach audiences where traditional media earlier could not. It has made information sharing easier for audience, leading in turn to more conversations and more reach. By offering better customization, social media also allows more and better ways to tweak your budget, target audience, and geographical reach. It offers plenty of ways to track performance in a tangible manner – unlike print media. But this does not make print media obsolete. Print media still offers tangibility in vision, as compared to digital ads that can disappear easily into cyberspace. Print ads work excellently at solidifying your brand identity. To effectively reach niche audiences that are difficult to target online, print media is very much needed. Also, consumers are more engaged when reading printed material, unlike websites, which are often skimmed through in seconds. The Internet and all that goes with it is not killing print media; there are still plenty of books, brochures, newspapers etc. just less of them. What the Internet is doing is actually making us become more creative about how to market things. Integrating social media with print is not that hard as most people think. Harmonizing Print and social media and integrating them can actually work profitably, like the dream team of Krishna and Arjun! As an agency who has successfully run campaigns for clients in both print and social media, we would say social media is here to stay but print media is still just as valuable. Both have elements that make them equally important and impactful as marketing and brand communication tools. So why not make the best of both?! Founder and CEO, Phi Creative Solutions – Success. By Design. www.Phi.agency.